All of these things go hand-in-hand. If you have a website and run ads, you need Instant. Instant helps you create symmetrical landing pages and ads to boost conversion rates and make the most of your ad spend! Instant keeps your ads looking good.Instant is a plugin that is used on top of your current website to create unlimited variations of your existing pages. Use the inline editor to quickly create landing page variations of your existing pages with different images, text, dynamic keywords, and more! Check the performance of your pages via AdWords & Analytics. Manage and assign user roles for your clients, teammates, etc. Allow developers to build integrations at a system level by giving them access to Instant’s API. On average, conversions increase by 20-30% when symmetric messaging is used. And since we are always looking for a way to increase conversions, using Instant seems like an easy choice. Normally, you’d be paying $1,188 per year for Instant’s Professional Plan. 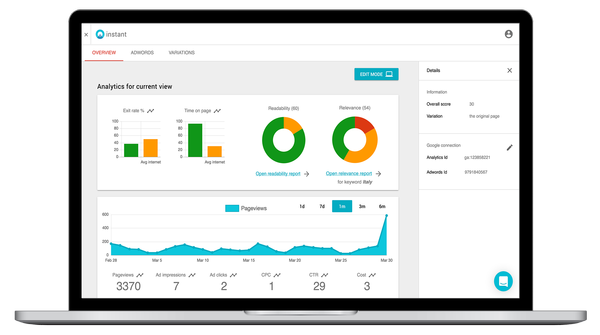 But, this AppSumo deal is bringing you lifetime access to the Professional Plan for just $49! That is lifetime access for less than half of what you would typically pay for one month! You gotta hurry though, you have less than 24 hours to get your code! Use this link to grab Instant’s Professional Plan! Q: Is this compatible with my Shopify/WordPress website? A: Yes. Instant works like a plugin on top of ANY website and ANY codebase. Q: Can I change the layout of my pages using Instant? A: No. Instant is not a design tool nor a landing page builder. You can not add/delete or move entire sections of your page. You have to work with what is already there. You reach symmetry by creating variations of existing pages. 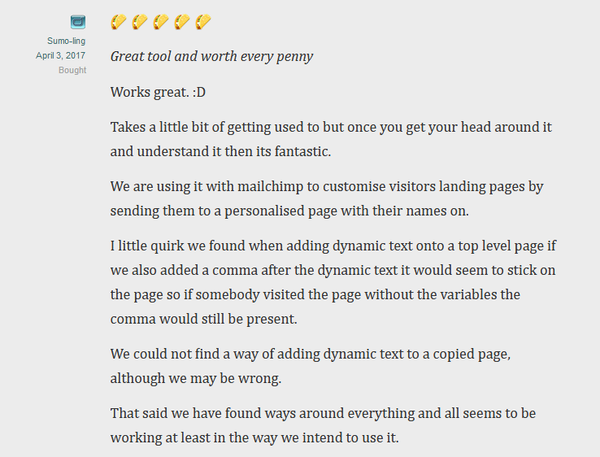 Those variations are then modified using the inline editor to change text, add dynamic keywords, and swap out images. Q: Does Instant work for other paid channels besides AdWords? A: Absolutely! You can use Instant to create symmetry between any kind of marketing campaign and landing page (e.g. email campaign, Facebook ad, display ad, etc). 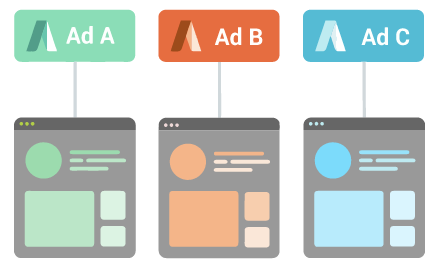 The AdWords integration just offers additional performance data that makes the process of creating symmetry for this channel specifically convenient and easy. To help you bring your marketing game to the next level, a Facebook integration and semi-automated variations are next on our product roadmap. Q: Can I use this on multiple sites? Can I add multiple AdWords accounts? A: Yes, you can use one Instant account and connect it with several websites. Instant looks at each URL individually, so to us, the domain doesn’t matter. However, we haven’t rolled out our feature supporting multiple AdWords accounts yet. This means that you currently can only connect one Ad account per script. A: The URL we provide links to your original page with a query string attached – e.g. www.mysite.com?instant_page=variation1. While the original page loads (before it is visible to the user), Instant’s script will inject the content variation into the page and show the adjusted content. Everything happens at runtime. Click here for lifetime access to Instant’s Professional Plan! Remember, this deal ends TODAY! Grab it now to get your lifetime license!